There are from dropzones in Indiana. They are all just outside of major cities. Skydive Fort Wayne is in Angola which is convenient to Fort Wayne, South Bend, and Toledo. Jerry’s Skydiving Circus is in Franklin and close to Indianapolis. 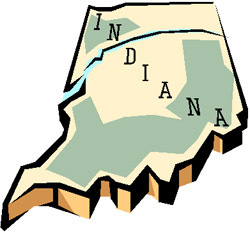 Air Indiana is in Flora which is also near Indianapolis. Skydive Greensburg is between Cincinnati and Indianapolis. When you’re ready to skydive Indiana has you covered. Skydiving is cool and makes a great gift for birthdays, Christmas, graduation, or just for fun. Click on the links below to find the dropzone that’s close to you.